Hi, I've collected prehnite for years and have had good luck cleaning and improving NJ prehnite through the use of a high pressure water gun, the kind that shoots a pencil thin beam of water at high pressure. Recently I obtained some prehnite from Mali that has not been fully cleaned. The dealer didn't want to mess with it anymore, so I got it cheap. I think the high pressure gun should work on it, but I'm looking for ways to subtly improve the luster of the prehnite, like some of the best specimens I've seen. I'll have access in a few months to an air abrasives room where fossil fanatics use dolomite powder to etch fossils from matrix. Would this work on polishing up prehnite? Rock Currier, feel free to weigh in here with your opinion, since I have some specimens you have cleaned and they are great! Prehnite is hardness 6.5 and is tough as nails. Most of it can take some real pounding and come out "smiling". If nobody has answered this privatly, the Prehnite from Mali need to be cleaned with a microabrassion machine, as the crust is a Quartz/opalite/feldspar mix crud and will not disolve in acids. Cleans really quick with the blaster though! Thanks for the confirmation. The water gun worked somewhat on a few specimens and not at all on others. The air abrasives room will be up and running soon and I'll try that on the prehnite. Sorry about getting back to you so late. I have been occupied with keeping my business running and Tucson. We clean our Mali prehnites by using 200 mesh glass beads at about 100 pounds pressure and it doesn't seem to hurt them at all. These glass beads will definitely take the luster on the associated epidote crystals that occur with some specimens. For combination clusters we try to use sodium bicarbonate powder to clean them rather than glass beads. Some of the specimens have associated hyalite opal? coating parts of the specimens, and the bicarbonate of soda will not clean this material off the specimens and sometimes not even the glass beads will be all that effective. Sometimes we have to sacrifice the luster on the epidotes to get the best results. As a final step we use some silicon spray to improve the appearance of the specimens. New occurrences of prehnite, epidote and garnets are being found and as time passes we can expect different flavors of these specimens to appear on the market. Thanks so much for confirming in detail what Justin communicated earlier. Our new abrasives room is up and running at the HGMS clubhouse here in Houston, and I just need to get trained on the equipment so I can take a crack at these prehnites. I'll probably try the air abrasives on some of my New Jersey prehnite that has not responded to the high pressure water gun. I'm thinking that will work well with that material also. I'll let you know if I'm successful. Might be a good idea to note on the back of the label that your specimens have been polished or oiled. 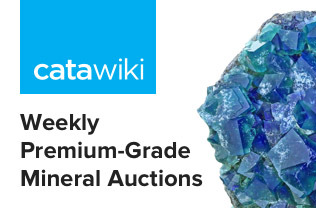 Not sure if any states have gem treatment disclosure laws, but Canada does and the law applies to mineral specimens too. Can you please give a picture of your specimens, that would help a lot. 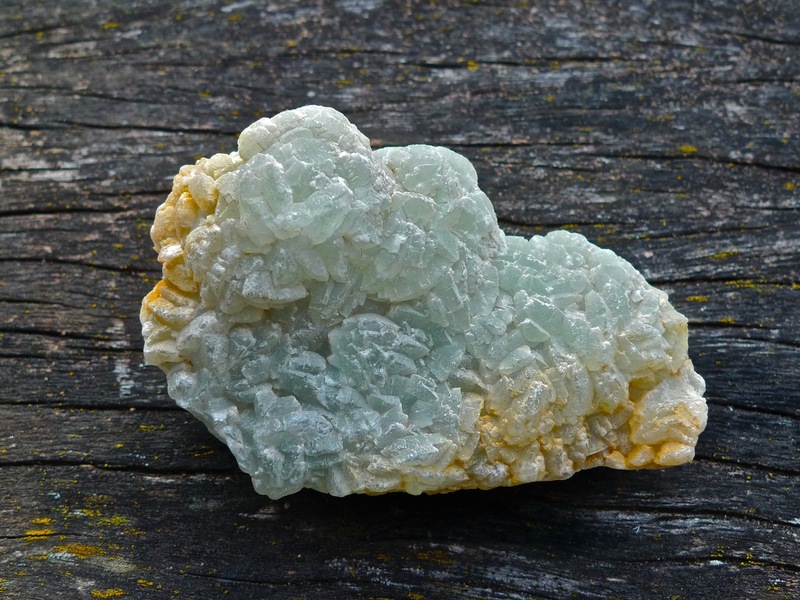 You must not use acid to clean prehnite; loss of luster is guaranteed! Edited 1 time(s). Last edit at 12/06/2015 07:14PM by bahlach abdul qayyum. No need for ultrasound. Just leave it in dithionite a little longer. 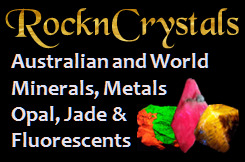 I am not in specialist in these minerals, but I know the guys who are knowledgable about them, would prefer a picture. Some of them did already post their suggestions, so there is nothinh I can add to that. Prehnite aggregate with typical stepped globular habit in Caribean sea color pretty bronzed at sides. Unfortunately, I can't also see any other solution for your problem than the usage of dithionite, such as "Super Iron Out" (which is available in the USA) or the "Waller Solution", which is a self made mixture of sodium dithionite, sodium hydrogen carbonate and sodium citrate. Search on google for "Waller Solution". It will work if your problem is caused by an iron staining only. Silicate crusts can be removed only mechanically or not at all. By the way, the most recipes for the Waller Solution specify a much too high concentration, makes it unstable and stinky (by self-decomposition). Of course, depending of the country you live in, it may be difficult or impossible to get the chemicals. But you are not in a hopeless situation, nevertheless. Some decolourant powders (for mis-coloured textiles while washing) are based on dithionite. Look at the list of ingredients (in the European Union is the declaration of important ingredients obligately) for "dithionite". Forget products with somthing like "oxy(gen)" or "(hypo)chlorine" or somewhat wih "per"! That will not work. If you could find such product, you have half won. Usually it is a mixture of sodium carbonate and sodium dithionite. But you need sodium hydrogen carbonate and you miss sodium citrate. If you add citric acid, you will get both. Normal lemon juice or -much better- lemon juice concentrate works fine. If you can get pure citric acid powder, make a 10% solution of it - that would be the best. Solve a table spoon of the decolourant powder in 1 liter water - the solution will be probably a bit milky. Then add slowly(!) the lemon juice while stirring quickly(! ), until you come to the point the solution effervesces - then stop. The solution should be clear now. Put your stone into the solution and hold it warm for some hours. Best effect at 40 to 50 °C, none at less than 20°C. If the solution turns yellow after 1 or 2 days, replace it with new. I'm using this method with much success, although I would be able to get all the needed chemicals (however in large amounts that I don't need). Edited 1 time(s). Last edit at 12/07/2015 04:22PM by Wayne Corwin. I have never cleaned prehnite with oxalic acid, knowing that acids will destroy luster in prehnite, but I do know that white to yellowish coatings on a mineral after treating with oxalic are due to the formation of an iron oxylate, which is impossible to remove with chemical means. This generally means that the specimen was (1) left too long in the oxalic acid and/or (2) the solution was old and used up and should have been discarded. This is what we find in cleaning quartz from Arkansas with warm oxalic acid. I have a number of specimens of prehnite in my collection from Pakistan, and they all have a similar dull appearance with a lack of any luster on the surface. Now I know why they all look the same. They were probably all cleaned in a similar manner with oxalic acid. In the Erongo Region of Namibia they have been producing prehnite specimens for at least 10-15 years, and the first ones I got showed clear signs of calcite erosion by acid, and dull, lusterless prehnite. Specimens obtained in the last 5 years show a very nice luster. I have to assume that the collectors and dealers have upgraded their knowledge and gotten a better product as a result. I hope this can happen with prehnite from Pakistan. Being an acid (even though relatively weak), oxalic acid is probably reacting with the calcium in prehnite to form a white coating of calcium oxalate, which is also hard to remove. Ultrasonic cleaners are NOT needed to clean with dithionite, but they do speed up the reaction, for those suffering from lack of patience. As dithionite cleans pretty fast even without ultrasonic, I wouldn't bother with ultrasonic. Prehnite contains lots of calcium, and as a general rule never clean Ca-bearing minerals with oxalic acid, because of the ugly insoluble skin of calcium oxalate that might result. This is true even for minerals that contain only small amounts of Ca substituting for another element, and the Ca is not even listed in the formula: Siderite, for example. Edited 1 time(s). Last edit at 12/08/2015 12:24AM by Alfredo Petrov. well alferdo i got it thanks .. i dont need ultrasonic machine thanks .. share me a trustable link where the step by step method should be of dithionite it will be easy for me ..
hello im back after long time. i have a yellow oxidized rust on prehnite. can it be cleaned by prehnite ?